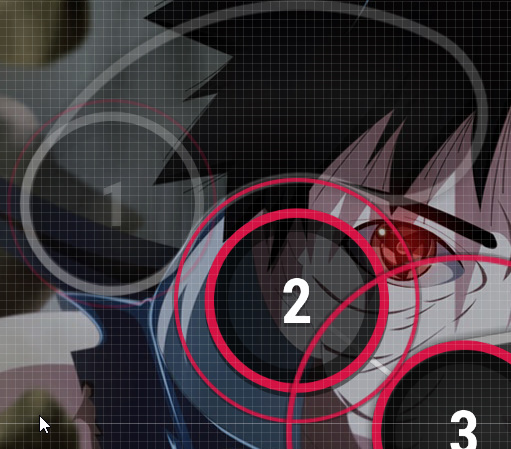 Nogizaka 46 - Tsuki no Ookisa · forums · community | osu! Last edited by Lian- September 22, 2017 at 6:41:54 PM GMT , edited 50 times in total. New to modding, I'll try to help. auto must get atleast 1000 bonus points on spinners to be rankable, i think on extra and insane some of them dont make it to 1000! normal's should also have few distance snap errors, turn on DS to help. otherwise feels fine to play. everything else feels fine, gj! 00:53:782 (1,2,1,2) - - ctrl+g this jump pattern so its less spaced out to hit from the stream. ]Fixed in all difficulties, Thanks for all your help, I invite you to try it again! General - Overall, I really enjoy your visuals and aesthetics. This map looks very nice, and it plays very nice, but there is a large amount of consistency and representation issues, evident as they take up most of this mod. [*] - Slider-ends should have less impact than the slider start. This is because it takes more effort for the player to click than to release the mouse, and sliders generally move slower than normal jumps. Changing everything in this map likely won't help you improve as a mapper. realize your mistakes and move on to a new map, maybe come back to this one once you've improved. Personally, I'd either; delete (2) and make (1) a 1/4 slider for a nice jump onto (3), or, more plainly; do the same thing but leave (1) as a circle. 00:01:079 (4,5,6,7,8) - (5) and (7), the white ticks, are stronger than (4), (6), and (8), the red ticks. you should increase emphasis on the white ticks. 00:03:025 (8,1) - the jump from (8) to (1) is inconsistent with the previous jump at 00:01:728 (8,1). 00:06:592 (2,3,4) - this plays well, but because these are three different sounds it would be nice to have three different angles and spacings. 00:07:403 (1) - I'd reccomend changing this into two circles due to the strong sound on 00:07:565. 00:09:025 (3,4,5) - these need to be jumps. 00:09:349 (5) - make this into two circles and maybe place a circle here 00:09:674. 00:09:836 (1,1,1) - i'm not sure about the timing here, maybe it is 1/6. either way, you can't have 00:09:836 (1) - start on nothing. 00:12:917 (4) - this should be two circles. 00:13:241 (5) - ^should be two circles. the sound on the slider-start should be stronger than the sound on the slider-end. 00:13:565 (1) - this should be spaced out more. it's generally bad to have little or no spacing after a 1/2 slider as it causes the player to idle for half a beat (the cursor has already moved with the slider to where it needs to be). 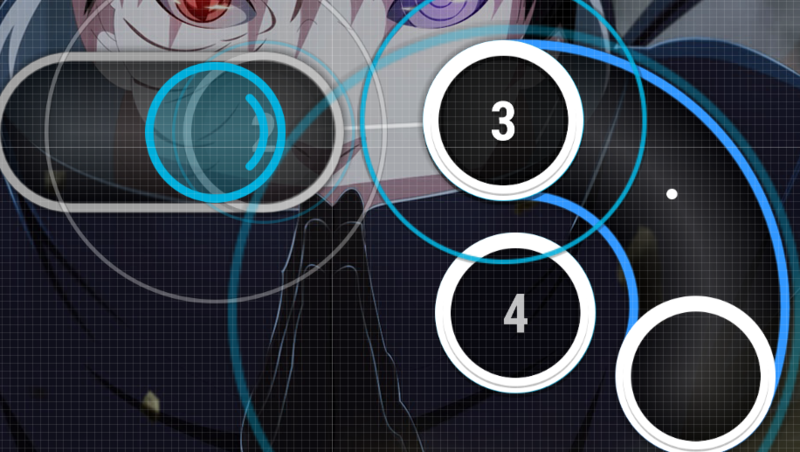 stuff like this is definetely more acceptable on 1/4 rhythms and higher. 00:13:565 (1) - either make this a 1/2 slider, or add a circle at 00:13:728. 00:14:214 (4) - this needs to be two circles. 00:15:511 (3,4) - This needs a larger gap. 00:16:971 (4) - make this two circles. 00:20:052 (4) - either make this a 1/2 slider or add a circle at 00:20:214. 00:21:836 (6,1) - i think the gap from (6) to (1) is too large, given that (1) is one of the weaker sounds. 00:22:809 (1) - make this two circles. 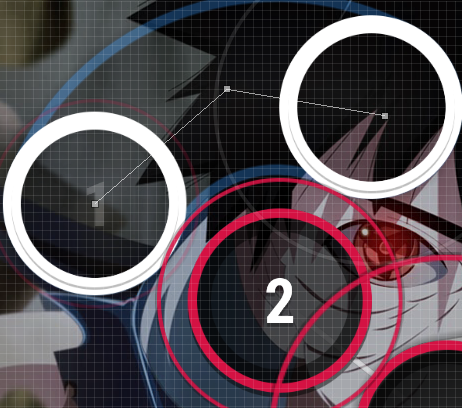 00:25:241 (1,2,3,1,2) - 00:25:322 (2) and 00:25:484 (1) are way too quiet to have circles. you could make them into sliderends, or remove them alltogether, while changing the remaining notes into jumps. 00:27:187 (2,3) - these need a larger gap. 00:28:484 (2) - needs to be two circles. sorry that i'm pointing so many of these out..
00:35:620 (8,1,2) - there should be jumps between these 3. 00:38:052 (1,2,3,1,2,3,1,2,3) - you shouldn't put notes where there isn't any sounds. the stream looks great but.. it doesn't match the music. 00:39:511 (2,3) - make (2) into a 1/2 slider, delete (3), and add a circle at 00:39:836. 00:41:620 (4) - this should be a circle only, and you should add a 1/2 slider at 00:41:782. 00:48:268 (3,4,5) - you could space these. 00:50:214 (2,3,4) - all of these sliders should be changed to 1/2 jumps. 01:04:160 (1,2,3,1,2,3,1,2,3,1,2,3) - the sound which the (2)nd circle on all of these triplets is represeting should be emphasized a lot less due to lower impact. 01:08:052 (1,2) - you should reduce spacing going onto (2) as it is a weak sound. I'll stop here, I think you get the point. 00:10:971 (1) - This blanket isnot perfect, but it's an easy fix. 00:18:755 (2,3) - The flow here is strange since the 3 has an immediate upwards direction. You can rotate 3 and 4 by 25 degrees and get this, which is much more fluid. 00:37:890 (1,1) - This overlap may be really confusing to newer players -- the players that will be mostly playing this map. 00:55:079 (1,2) - This slider blanket is also imperfect. If you don't do it already, use the approach circle of the blanketed note as a guide, like this. I know that most of the stuff I pointed out was slider blankets, which is kind of a cheap shot. Low-hanging fruit. However, take it as a good thing -- it means your difficulty is pretty damn solid. 00:04:484 (3,1) - Slider blankets. 00:26:538 (2) - Maybe you can turn this into a slider that ends at 00:26:863 - . It allows that vocal to get mapped, since it's kind of awkwardly missed. 00:25:403 (1) - Why NC here? 00:27:511 (1) - It's weird to have a spinner here. There's not really anything that supports it, like a long or continuous sound. For comparison the spinner at 00:52:484 (1) - is fine, since you're mapping to the vocals. 01:13:241 (1) - The empty space after this spinner should be filled, unless I'm just not seeing why it's left blank. As for rhythm, this one's pretty close to as good as you can get it. Just gotta take care of the technical, boring stuff. 00:10:647 (6,7) - These don't need to be there -- I can't hear any sound. 00:52:485 (4) - This slider is very jarring. It would probably be best to map a different layer of the music here. 01:15:512 (1) - Remove the NC here. 00:35:620 (1,2) - No sound here. 01:24:228 (1,1,1,1,1,1) - These notes aren't snapped, and I'm unsure why they're all new combos. 00:52:565 (1,1,1,1,1,1,1,1,1,1,1,1,1,1) - Why are these all new combos? 01:24:187 (1,2,1,2,1,2,1) - More unnecessary new combos. * 00:39:008 (1) - If you are going to add specific hitsounds, i'd definitly try to let this one stand out so people can catch up to the meaning of the new combo. * To everything there i can only say, watch out for your "timing points" (sounds) and try to make it easier with them for others to understand your NC meanings, it isn't always that obvious while playing a beatmap. Editing your combos would also be an option. 01:01:549 - whats with hitsound here? That's all from me. Hope I helped. Good luck! Yes, I want to leave that background, because before putting something happy just because the song is happy, I think it is better to add a background that has a true relationship with the song or with the story arc of the series or any relevant character , I think that represents a song better! 01:05:441 - agrega un circulo aqui? NC Usage: Usually you want to NC every big white tick. 00:00:744 (2,2,2) - These have this strong hold guitar sound on their ends. I think these sounds should be clicked. 00:53:771 (1,1,1,1) - what do you think about nc'ing all of them? so you can read them better.